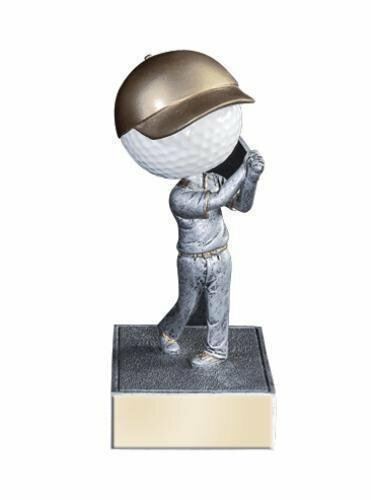 The Little Pals Golf Trophy has a brushed gold laser engraved plate with black letters. 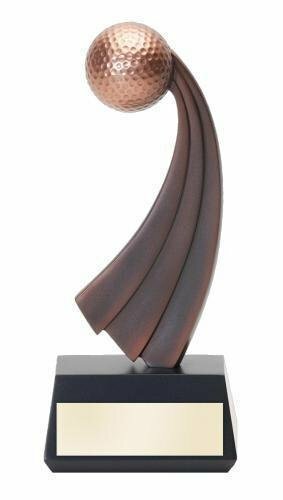 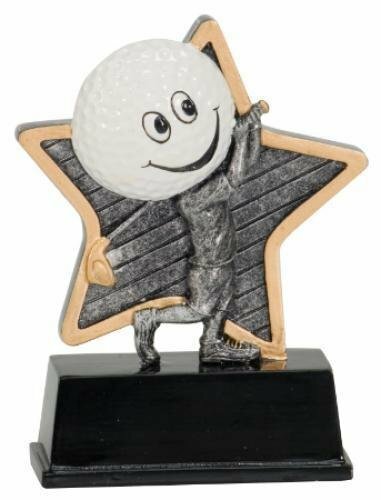 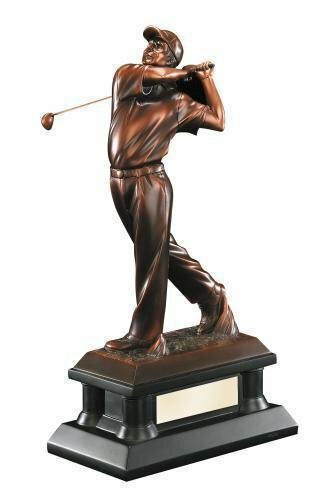 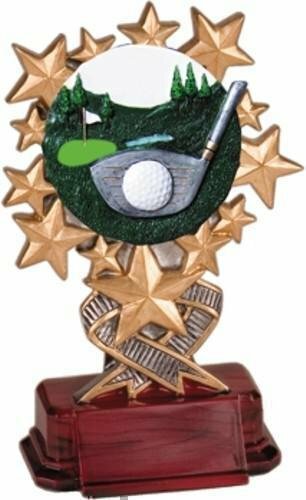 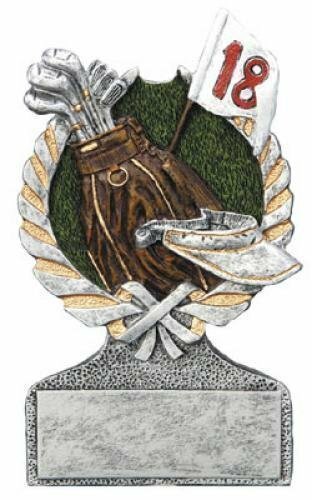 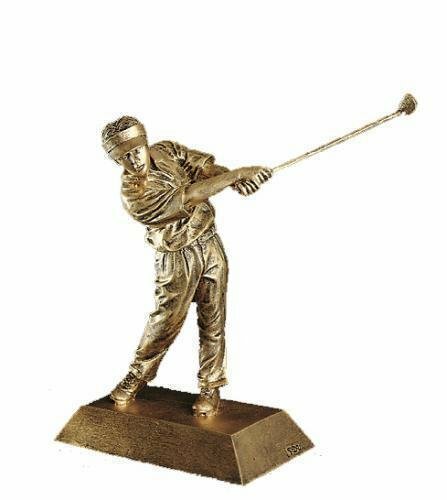 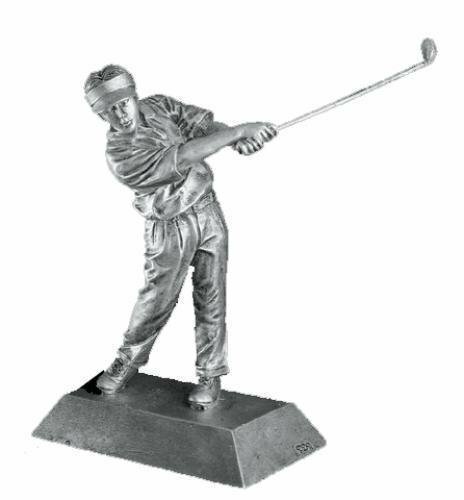 This little golf award is an adorable inexpensive trophy. 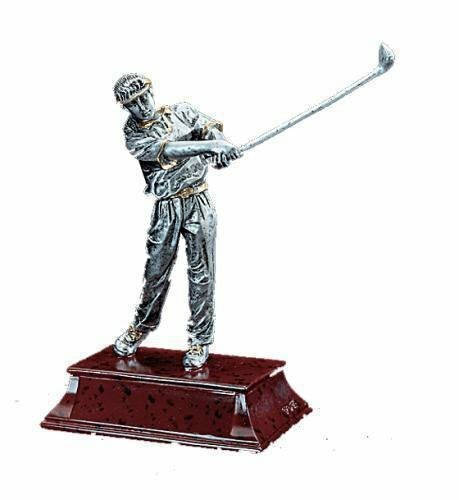 This Centurion Golf Trophy is a popular choice. 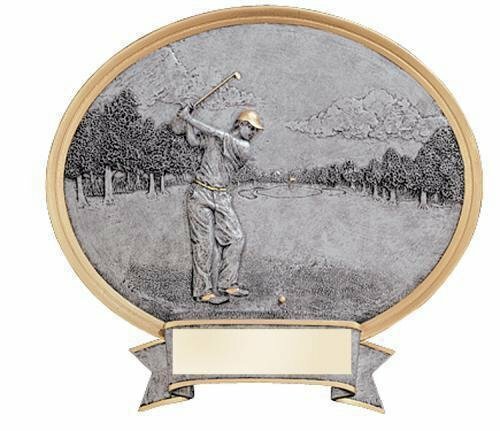 The Golf Award comes with a brushed gold, lazer engraved plate.